Friends or Enemies? No, Just Plants. “Peach-Leaf Bellflower, Garden Enemy #2” is one of my most-viewed posts. It was written in a fit of pique after I stabbed a hyacinth bulb while engaged in a heavy session of digging up peach-leaved bellflower (Campanula persicifolia) that had spread by runnng roots. I have since relented in my harsh judgement of that plant. Partly it’s because I’ve decided there are plants even more apt to spread and harder to control. To wit: Oregon grape, snowberry, periwinkle (both Vinca major and V. minor), achillea, bloody cranesbill (Geranium sanguineum), and certain daylilies. I’ve fought more desperate battles with these than I ever waged against the bellflower (which is rather attractive just now, in its first flush of bloom). It’s dumb of gardeners to blame plants for being themselves, bestowing upon them unkind epithets such as “thug” or “garden enemy.” (Not that the plants give a damn). I’m the one who decided to plant peach-leaved bellflower, Oregon grape, and snowberry in my garden, thinking them good choices because they are drought-tolerant, or native species, or both. 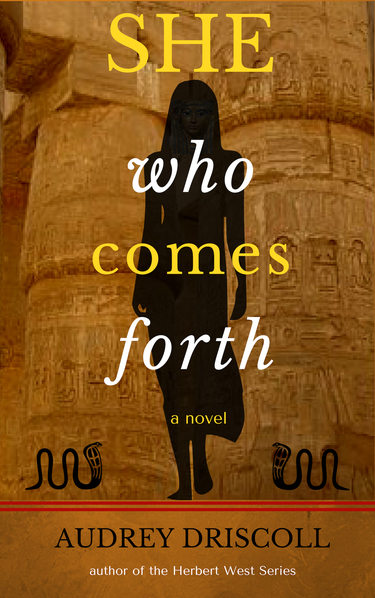 Thing is, they succeed in our local conditions precisely because of their deep-rooting, runner-producing tendencies. A recent reading of Noel Kingsbury’s excellent book, Garden Flora, gave me a new perspective on this — grouping or classifying plants by ecological habit, as well as by habitat or anatomy. In looking at the longevity and persistence of plants, some are called “clonal” and others “non-clonal.” The first group includes those that spread by rhizomes, roots or stolons, and others that stay in one place but increase in size. Non-clonal plants are generally short-lived, but produce lots of seeds to ensure persistence. Both types are represented in my garden. The spreaders and seeders are the ones that give me grief, and on the whole, the seeders are easier to deal with. Deadheading is a lot easier than digging up Mahonia roots, let me tell you. Kingsbury says the non-clonal plants tend to be pioneers, moving into an area and flourishing briefly, only to be supplanted by clonal competitors, whose roots, whether running or expanding in place, allow them to dominate their environment. Learning about the science of things is a good antidote to the human tendency to personify. Plants don’t run or produce zillions of seeds just to bug gardeners, but as a survival technique. If gardeners were aware of these habits before they introduced plants to their precious patches of earth, much physical exertion and gnashing of teeth could be avoided, or at least minimized. It would be helpful if writers of advice for gardeners included this aspect of plant performance in their writings. I’m sure if I had read something like “this is a tough, drought-resisting native plant, but gardeners should be aware that it spreads vigorously in conditions that meet its needs,” I would have avoided some plants, and situated others more carefully. Beguiled by fervid descriptions of a plant’s flower colour, reliability, or the fact that it’s a native adapted to local conditions, I have rushed out, bought one or more, and installed them in my small patch of land. They took hold and flourished. Fast-forward a few years to see me whine and swear at colonizing shoots metres away from the original plant, often in the middle of some pampered darling that’s trying to make up its mind as to whether life is worth living. By this time, of course, the original plant has grown large enough that removing it would be a major project of the back-breaking variety. The gardener mutters and swears. The clonal plant clones. The planet rotates. The gardener digs, chops, mutters, and swears. The Hori-hori Knife — essential weapon for battling suckers. My somewhat cranky post on Peach-leaf Bellflower has to be one of the most visited in this blog’s archive. It seems a lot of gardeners are interested in bellflowers. Because that post was a diatribe against Campanula persicifolia, I thought I would take a more temperate look at them now, when their first flush of bloom is nearly over. The genus Campanula, or bellflowers, is huge — more than 500 species. It includes perennials, biennials and annuals ranging from a few inches high to six feet, but most seem to be in the one to three foot range. They occur in a variety of temperate habitats, including woodlands, grasslands, alpine and arctic regions. Dozens of species have found their way into gardens and have attracted the attention of plant breeders, resulting in many horticultural varieties. I personally have experience with only a few of the bellflowers. Only two, actually. 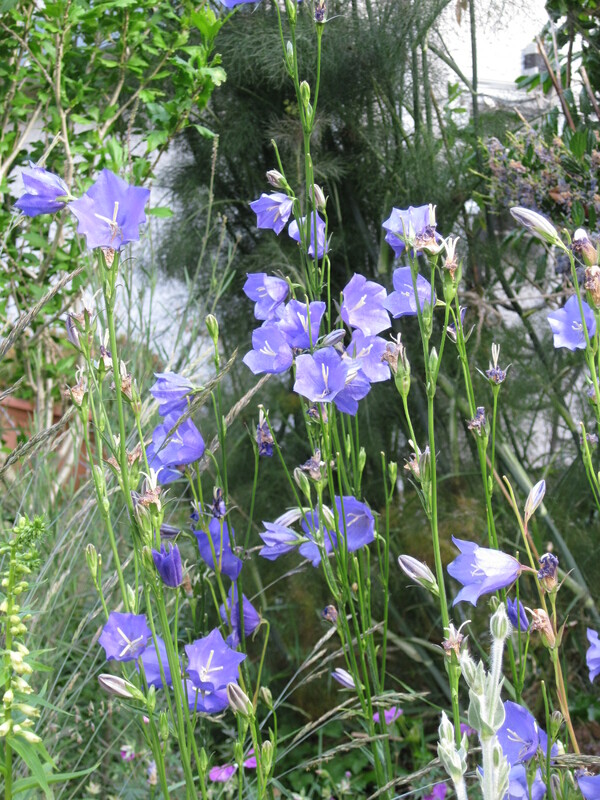 I recall the biennial Canterbury bells called “Cup and Saucer” from childhood, but have never grown it myself. Someone once gave me a plant of a creeping type, possibly a cultivar of C. carpatica, but it did not last. The two that have, and will probably be here forever, are C. persicifolia, Peach-leaf Bellflower, and C. rapunculoides, whose common name — Creeping Bellflower — should give any gardener the creeps. The authors of Perennials for American Gardens warn that “it must never be introduced into gardens, except into the wildest areas.” Well, it somehow got introduced into my garden, although not by me. At present, there is a clump growing out of asphalt on the edge of the driveway and another at the base of a Norway maple. The latter appears to be spreading slowly. Every spring I dig up the outermost sprouts, but I suspect it’s gaining ground. I also see it over the fence near my shed, and have conducted a little herbicidal warfare to keep it out. The interesting thing is that the rapacious C. rapunculoides is quite attractive — more so than C. persicifolia, whose flowers are wide open, outward facing cups, while those of the former are downward-facing in the true bell-like manner, with elegant pointed edges. On my way to work by bicycle I admire a nice clump of this plant growing at the foot of a bus stop sign, in the crack between sidewalk and curb. It’s obviously never watered except by rain (nonexistent at this time of year) or cared for in any way, but puts on a show every summer. But — and it’s a big “but” — these two bellflowers are inveterate spreaders. Rapunculoides spreads mostly by underground rhizomes, forming fat tuberous storage roots. Every bit of root is capable of forming a new plant, so careful digging and disposal (not in the compost heap) is needed to remove it. Mostly it’s impossible to get rid of it entirely which is why it needs to be watched carefully and extracted as much as possible every spring. Peach-leaf bellflower distributes itself both by seeds and underground roots, but is generally a bit easier to remove, except when it becomes entrenched among other desirable plants, when digging it up means digging up the entire bed. Careful deadheading can prevent excessive seeding, but the more plants you have the harder it is to keep up with the spent flowers about to become seedheads. The purest deadheading technique is to snip each flower individually, allowing the new buds forming lower on the stem to develop. This is fine if you have only a few easily accessible plants, and more time and patience than I have. Cutting entire flowering stems once most of the blooms are over works quite well. My plants manage to rebloom once or twice after this treatment. So do I still think of Peach-leaf Bellflower as a “garden enemy?” Not really, but I suggest that gardeners think carefully before introducing it, especially to neat and tidy gardens. It’s actually one of the tough plants that are valuable in adverse conditions (such as dry shade), but become a little too pushy in favourable ones. In such situations, I would advise a gardener who wants to try campanulas to visit a good garden centre and obtain some of the horticultural named varieties, which tend to be less aggressive. And for those who already have these two bellflowers, all I can say is that they create an opportunity for the gardener to exercise some mental discipline. Fight or negotiate? Attack or maintain a watchful peace? Who says gardening is a genteel pastime? After last week’s post about peach-leaf bellflower, I got to thinking about all the other plants with spreading tendencies that inhabit my small urban garden (50 x 120 feet, including my house, garden shed, garage, driveway and various walks and paths). Quite frankly, I was appalled when I realized how many pushy plants I have. No wonder there’s no room for anything new. So I thought I would compile a list of them — trees, shrubs, climbers and herbaceous plants that spread by running roots, offsets or suckers. The list doesn’t include “true” weeds (bindweed, for example), but does have plants that are probably considered weeds by some. Enough said. Trees: the only invasive one I have is the Tree of Heaven, Ailanthus altissima, which sends up shoots here and there. Digging them out, I find that they originate in structures that look like brains, except they are a yellowish colour. Very sinister. If not removed, the shoots will grow into more trees, and I would have a grove of what has been called “the world’s toughest urban tree.” Indeed, but one is more than enough for me. The common Lilac, Syringa vulgaris, sends up suckers with abandon. I remove them, so as not to end up with a lilac thicket that swamps whatever has been planted around the shrub. I suspect that named varieties are less apt to sucker, but are probably not as tough. Besides, this lilac was here before I arrived in 1992, so has the privilege of seniority. Oregon Grape (Mahonia aquifolium) is a native shrub that can grow to 10 feet, sending up suckers similar to those of the lilac. It produces lots of dark blue berries as well. If these are allowed to fall, the seeds inside them produce many seedlings. Again, a thicket results. I planted two mahonias years ago, and am reaping the consequences. But a couple of young suckers are ideally positioned someday to foil shortcut-seeking letter-carriers and the like, which may be one of those disguised blessings. Another native shrub is the Snowberry, Symphoricarpos albus. Its white berries, borne on skinny stems, are striking in winter, but it spreads by running roots that send up shoots all around. One of my reference books says it’s “too rampant to be admitted to the garden.” Too late, in my case; I thought snowberry a fitting companion for my Garry Oak, since they occur together naturally. Now I spend quite a lot of time cutting unwanted snowberry shoots. The Nootka rose (Rosa nutkana) is one of our two native wild roses, and yes, I have planted one here, close by the Oregon grape. It has that suckering habit, as I’ve found while edging the bed in which it lives. I’m thinking about removing the shrub altogether, but it takes me a long time to get to the point of actual planticide. The horror of finality, you know. In the meantime, the rose prospers and spreads. I have only one problematic climber, but it’s a doozy — Ivy (Hedera species). I have three kinds, including English Ivy (H. helix), which is branded an invasive alien here. It isn’t as sneaky as some of the other invasives, but bears careful watching and hard pruning. I recommend removing the flowering growths before berries ripen and are dispersed by birds. We have more than enough of this plant here. The other two types I have are not quite as aggressive, but I regularly whack them back before they cover too much territory, horizontally or vertically. Winter jasmine (Jasminum nudifolium) hasn’t been a problem here — yet. It’s supported by a trellis, and I’ve been vigilant about removing any branches that touch the ground before they grow roots and develop new plants. Those unaware of this habit, take note. Periwinkle is a great groundcover. Both the large (Vinca major) and small (V. minor) forms really cover the ground and anything that might be growing upon it. V. major is suitable only for large areas, but even V. minor can move pretty fast. Either restrict them to places where nothing else will grow (beneath evergreen trees and shrubs, for example) or be prepared to do a lot of control measures. I do both. Japanese Anemone (Anemone x hybrida) is an attractive, late-summer-blooming plant, but it sends out running roots that pop up offsets from the parent plant, not always in situations where they are welcome. In my garden, these anemones are in a south-facing bed, and so want to spread southward, among shorter plants. This conflicts with my intentions for the bed, but the anemones don’t care about that. There is a tawny-orange daylily (probably Hemerocallis fulva) that I brought to this garden when I came here in 1992. In books, it’s lauded as a plant for controlling erosion on banks. If I had known of its colonizing tendencies, I would have left it behind in Saskatchewan. Instead of forming clumps that become fatter and more impressive with the years, this species of daylily runs about, popping up where it pleases, even in the middle of other plants. Given enough space, I suppose it would eventually cover a large area. But that’s not what I had in mind, so have spent many hours digging it out. A double-flowered garden hybrid called “Kwanso” shares its parent’s running habit. When I was a newish gardener with space to fill, I gratefully accepted a gift of “Kwanso,” rather to my regret. With considerable vigilance, I have managed to confine it to a spot on one side of the pond, but regularly contemplate total eradication. Phygelius aequalis or Cape Fuchsia is an impressive plant from South Africa, featuring clusters of long, slender, trumpet-shaped flowers in yellow or coral, on 3-foot, somewhat woody stems. It tolerates a certain amount of drought and even some shade. Maintenance consists of cutting the old stems down in early spring. Very nice, but it also spreads sneakily underground. You think it’s a well-behaved shrubby thing, until you find big, healthy sprouts yards away from the parent plant. Given that said parent is pretty hefty — 4 x 4 feet — one is enough. New plants showing up among peonies and irises are not welcome. (Too bad, says the Phygelius). Irises, especially the bigger types, spread by growing new rhizomes, and can cover quite lot of ground if not attended to. I’ve read that one must divide and replant irises every few years to keep them healthy, but mine seem a bit too healthy, even the ones that rarely bloom because of excessive shade. Digging them up and replanting might be a good idea, if only to get rid of the unwanted surplus. To be fair, though, irises can’t really be called invasive. Iris cristata, a small, spring-blooming type, has slowly spread throughout a couple of my beds over the years, much to my delight. Another unexpected spreader is a form of Gentian whose name I do not know. Its main bloom period is in March, but I’ve known it to produce a few flowers in fall and winter as well. Planted in a semi-sunny, tree-root-free bed, it has spread to cover an area the size of a (smallish) bath mat, coming into conflict with some bergenias on one side. I plan to take advantage of its vigor by moving a few divisions into another part of the bed, at present occupied by common violets, Viola odorata, another near-weed. Which reminds me of another violet with spreading tendencies — V. labradorica, a scentless but attractive type with purple-flushed leaves, that is a useful groundcover in dry shade. It’s fairly well-behaved, but should be weeded out from around small hostas and ferns before it gets too chummy with them. I was out in the garden on the afternoon of New Year’s Eve, doing what I expected to be routine cleanup — cutting down old perennial stalks, removing the odd overgrown specimen, etc. But I realized I had a bigger problem on my hands — peach-leaf bellflower (Campanula persicifolia), entrenched and spreading all over one of my sunnier and tree-root-free perennial beds. A planting of variegated irises and a specimen of Eryngium yuccifolium were threatened with oblivion as the peach-leaf pest sent out new offsets and and an ever-thickening mat of roots. I happily included this plant in my post called Tough Plants for Dry Shade, and I still think it belongs there, but now I issue a warning: do not plant Campanula persicifolia in places other than dry shade, especially if you garden on light, sandy soil. In hospitable, sunny spots, it becomes a rampant thug. Plant delphiniums there instead. In a hasty attempt to get rid of the unwanted bellflowers, I went from hand-pulling (useless except for seedlings or brand-new offsets), to stabbing with a trowel, to deploying the gardener’s big gun — a digging fork. That did the trick, except that I dug up a bunch of tulip and crocus bulbs along with the bellflower mats, and, worst of all, sliced off a nice hyacinth bud that was awaiting spring under the soil surface. That’s the really awful thing about spreading plants — they cover up other plants and, unless the gardener has a really good memory and/or really meticulous records, render them invisible. The busy gardener glances over a bed and sees nice, healthy plants of peach-leaf bellflower, totally forgetting about the irises, eryngiums and bulbs that were planted there in the first place. When the truth finally dawns and Something Must Be Done Right Now, havoc and destruction ensue. Some may say I’m being unfair to Campanula persicifolia. 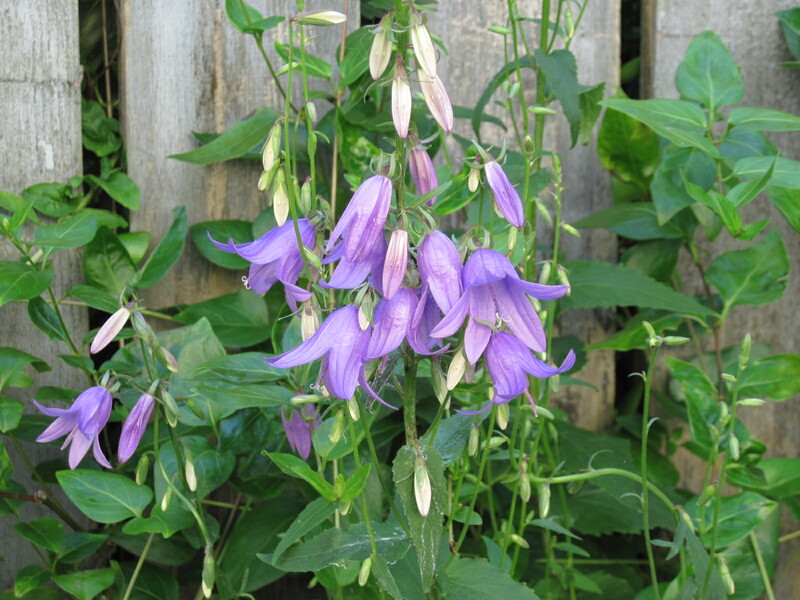 Just because I was too lazy to keep an eye on things, I need not vilify the bellflower, which is an attractive and reliable plant. Maybe so, but gardeners should know about a plant’s bad habits before they introduce it into their premises, so I think this screed is justified. (And of course I’m still upset about that hyacinth). On a related topic, following my post on Plant ID, in which I made observations about different kinds of plant labels, I actually received as a Christmas gift a couple of dozen rather nice permanent metal labels with solid plastic stakes to hold and display them. I’ve decided to use them to mark valued plants that are at risk of being overwhelmed by the rambunctious “tough plants” that I have allowed to proliferate here. The idea is that the labels will remind me to check on the well-being of the plants they represent, thus ensuring that the markers will not be of the RIP sort. Oh yes — and what is Garden Enemy #1? In my garden, it’s those maple trees, of course. I’ve ranted about them before, and will likely do so again. Every summer I expend valuable time and energy extracting fans of a certain orange daylily from the perennial bed adjoining my pond. The culprit is, I suspect, a variety called ‘Kwanso,’ a descendant of Hemerocallis fulva, which is a tough plant with brownish-orange flowers and a rampaging habit of colonization. ‘Kwanso’ has certainly inherited that quality, which means that if left to itself, it will send out new sprouts far beyond the spot where it was originally planted. In my pond bed, lush growths of ‘Kwanso’ have come up flush against vigorous ferns and threatened to engulf a small spirea, ‘Golden Princess.’ To keep things in proportion (so much of gardening consists of this struggle), I get out there with a narrow bulb trowel and surgically remove the invader from spots where it doesn’t belong. Now, here’s the thing — I didn’t buy ‘Kwanso.’ It was a gift from another gardener. My garden was new at the time, and underpopulated (hard to believe, but it was). I accepted the gift with gratitude and gave it a prime spot, remembering a fine daylily that I had in my former garden, a big handsome thing with yellow trumpet flowers every summer, possibly an old variety called ‘Hyperion.’ The clump expanded steadily, but did not send out runners. In my ignorance of the daylily tribe, I thought they were all like that, and when my gardening colleague described her plant’s double orange flowers, I was quite delighted to accept the gift. Now that I know about H. fulva, I would be suspicious of any daylily with even a hint of orange. When someone offers you a generous supply of a plant, ask yourself why they have so much to give away. A diplomatic question may be in order: “Can you tell me something about X? How does it grow?” If the gardener says something about ground-covering tendencies or multitudes of seedlings, you may wish to decline with gratitude. When you think about it, this matter of gift plants is as much about etiquette as gardening. Gifts in general are a touchy subject. Consider the present that eventually becomes a garage sale item. So what do you say when a gift plant turns out to be a menace that you had to eradicate, and the giver inquires as to how it’s doing in your garden? Or even worse, comes over to admire it? “Oh, it just up and died. I couldn’t get it to grow.” The implication that your gardening skills are inferior to the other person’s may divert them from the suspicion that planticide was committed. Let them bask in the warm glow of superiority for a few seconds, then offer them some seedlings of Linaria purpurea or divisions of Campanula persicifolia. Setting aside unworthy thoughts of horticultural revenge, here are some precepts to observe when you are the giver of a plant, especially when the recipient is a new, inexperienced gardener. Be up front about colonizing tendencies. Admit that you have periwinkle to give away because it has spread like a weed at your place, and is likely to do so anywhere. Tell her that she had better get out and cut back the campion as soon as its first blooms have turned into seed pods, unless she wants it coming up all over the place. Better yet, give away some really good plants on occasion — spare seedlings of Meconopsis, for example, or divisions of crystalline blue delphiniums. No one ever has enough of those.